In our last post ("Liquor and Lap Dances: Regulating Bad Behavior," April 28, 2012) we discussed the issues raised in the recent Electronic Funds Transfer Association webinar on restricting access to TANF in certain locations. These locations include liquor stores, casinos and adult-entertainment venues. Section 4004 of the recently signed Middle Class Tax Relief and Jobs Creation Act of 2012 requires states to prohit the use of EBT cards to access TANF benefits in these locations. The matter is now in the hands of the Department of Health and Human Services' Administration for Children and Families. ACF, which administers TANF, is currently engaged in writing regulations to implement Section 4004. In this short interview, Kurt Helwig, president and CEO of EFTA discusses the difficulty that ACF will face in regulating this complex issue, and the role that states and EBT providers can play by responding to DHHS' reccently released Request for Public Comment, the first step in the regulatory proccess. More than 100 people attended this week's EFTA webinar on complying with the new federal law that requires states to restrict access to TANF benefits in specific locations. The Middle Class Tax Relief and Jobs Creation Act of 2012, signed by Pres. Obama in February includes a section, number 4004, that requires states to prohibit TANF beneficiaries from accessing their benefits in liquor stores, gaming locations and adult-entertainment venues. States are required by 2014 to submit a report to the Department of Health and Human Services on how they have complied with the law. States that fail to adequate comply face the loss of up to five percent of their TANF block grant. DHHS is the federal agency that oversees the TANF program. Since the new law provides for monetary penalties, DHHS must conduct a formal rules-making process to establish regulations for complying with the intent of Congress, according to the agency. A veteran panel discussed these four issues at length. Dennis Ambach, the senior director of government relations for EFTA, explained the origin of the bill and similar state-level movements to restrict the use of TANF. Mark Greenberg, the deputy assistant secretary for policy in the Administration for Children and Families, explained in detail the regulatory process that will produce the rules that will guide states in their compliance with the law. ACH is the branch of DHHS that administers TANF. There have been just a few seminal milestones that have marked the path of EBT. The first was creation of the first set of operating regulations in 1992. Another was Congress' willingness in the late 1990s to appropriate money so that EBT transactions could be interoperable across the country. How the Section 4004 regulations are writen will be one of those milestones. The regulators at DHHS face a thankless task in trying to control access to TANF. Most Americans share Congress' disgust with knowing that money that was appropriated to clothe poor children and keep a roof over their heads is going instead to pay for liquor and lap dances. But implementing the law will be tricky. Compliance costs may in the end exceed the amount of money that is currently being diverted to spirits, slots and strippers. So DHHS will have to balance such factors as cost and benefit, access and fees, and the carrot and stick of enforcement. Whether systemic solutions are cost effective. Results in two states have shown that the amount of TANF benefits flowing through proscribed categories of merchant is in each case less than one-half of one percent of the total amount of benefits distributed. Human services agencies have no regulatory authority over alcohol retailers, gaming or adult entertainment. In at least one state, staff time was devoted to scanning Yellow Pages to make lists of liquor stores and strip clubs to contact directly. The manpower required to implement the law could be staggering. Whether regulations may end up reducing access for all beneficiaries. Even when a state is able to locate and contact business owners who agree to block acceptance of EBT cards at ATMs in those locations, it's not the end of the story. ATMs are mobile assets. An ATM may be replaced by one whose terminal ID has not been blocked. Or a terminal with a blocked ID may end up in a lawful location where beneficiaries may be blocked from using it. And in remote areas of the country, for example, western states in the lower 48 and Alaska, there are places where a prohibited location may be the only location within 50 or 100 miles of where a beneficiary lives. Prohibiting that location may place an undue hardship on the beneficiary. And what about Indian casinos? Recognized Indian nations and tribal authorities under the Indian Gaming Regulatory Act of 1988 control gaming within their territory. So the requirements of Section 4004 of the new law might not be enforceable in Indian casinos. This could cause the regulations to be applied in a discriminatory manner. One beneficiary may face a 25-mile drive to an ATM because a casino is now off limits for benefit access, while another beneficiary may hop on the Interstate, get off at the next exit and pull into an Indian casino with her EBT card. Regulators are concerned about access costs. But we know that cost and access are code words for supply and demand. ATM owners in some areas may find that blocking these transactions may make it economically unfeasible to keep their machines in those locations. They may redeploy their machines to more profitable locations. As the supply of ATMs diminishes, will the owners of remaining machines raise their surcharges? If so, compliance with the law will result in less access and higher cost for all beneficiaries. As the supply of access points decreases, the cost of remaining access points increases. Fairness of sanctions. States that fail to comply with the law could be sanctioned with the loss of up to five percent of their TANF block grant. But whom does this affect? Not the liquor store owner who sold a pint of bar whiskey to someone who paid with TANF funds. Not the casino owner who knowingly allowed access to TANF funds so that in three hands of blackjack the beneficiary's family support money was in his till. Not the stripper who steps off the bar with TANF cash in the waistband of her G-string. Section 4004 sactions could end up harming the vast majority of program beneficiaries who play by the rules. 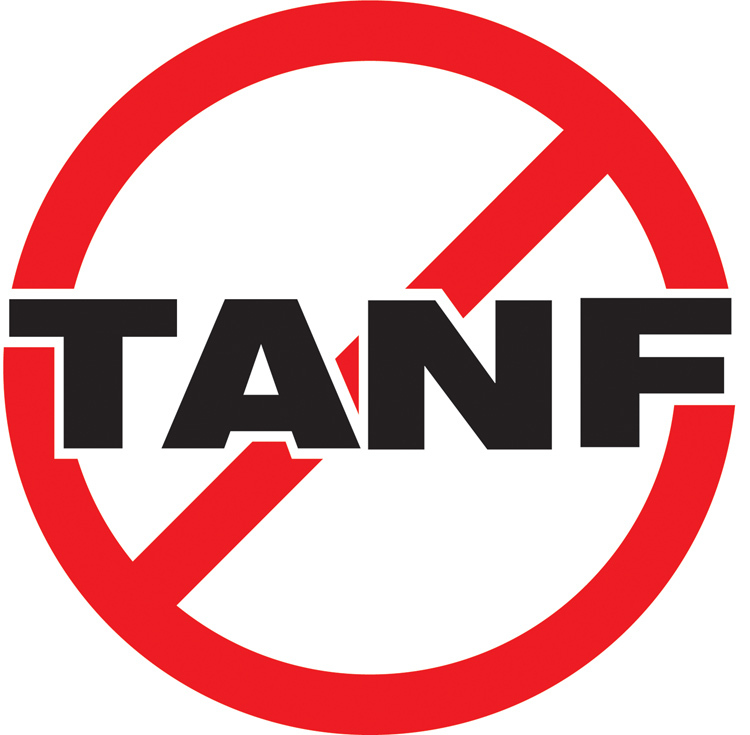 A sanctioned state will be forced to make up the five percent reduction in its TANF grant by cutting other programs to use that money to meet its TANF obligation. Which programs? Maybe reduce the hours for school nurses. Maybe buy fewer assisted living devices for the disabled. Or maybe layoff the interpreters at the blind commission. Who knows? Sanctions should not end up indirectly harming beneficiaries who play by the rules. States should comply with the new federal law by passing their own legislation that will allow them to better enforce how and where these benefits are accessed and spent. 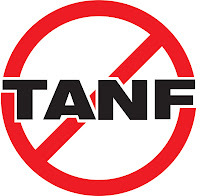 Gaming commissions should be responsible for making sure that the casinos, bingo-halls and poker clubs they oversee don't allow TANF funds to be accessed in those locations. If these businesses circumvent the gaming commission's regulations the businesses could face loss of their licenses. The same for liquor stores. Congress did the right thing by trying to turn the focus on TANF benefits back to children and families. But regulators will have to have the leadership of Moses, the wisdom of Solomon and the patience of Job to get this one right. DHHS will have to absorb a great deal of information in a very short period of time in order to craft regulations that don't negative impact anyone but the bad actors. And states, in their compliance plans, will have to show that they can apply the proper pressure to those bad actors in order to regulate access to and use of TANF in the manner Congress intended when it created the program. FNS has begun a search for a Supervisory Program Analyst. This is the position currently held by Patty Davis who will be retiring this spring. For more information or to apply, interested candidates should visit the government's USA Jobs website at http://www.usajobs.gov/GetJob/ViewDetails/313523000#duties. Do We Have a Data Security Crisis in America? Every day EBT systems handle millions and millions of pieces of consumer data. The recent security breach at Global Payments once again has us thinking exactly how secure are our data - both professional and personal. And how concerned are Americans with data breaches? Has the steady stream of breaches inoculated Americans to the dangers that data breaches present? And where is Congress in all this? Dennis Ambach, Senior Director in charge of government relations for the Electronic Funds Transfer Association, has some interesting observations and analysis in today's PaymentTrends, the official EFTA blog. If you're interested, check it out at http://bit.ly/tOiKi9. The Pennsylvania House holds a hearing today on H.R. 1948, a bill that would create a standing body to oversee EBT in the Commonwealth. The bill would create the "Electronic Benefits Transfer Card Management Program," which would set rules and regulations on what could be purchased with EBT cards. The EBT Card Management Program would also have oversight authority on the use of the cards. The bill is aimed at cracking down on fraudulent use of cash assistance, as well as use of cash assistance for buying things inconsistent "with the purpose of public assistance," according to Rep. Tim Krieger (R-Delmont), the bill's sponsor. Under the measure the Department of Public Welfare, which administers the cash assistance programs and EBT in the Commonwealth, would be required to develop "electronic controls" to detect misuse of TANF benefits through the EBT program, according to a press release issued by Krieger. Pennsylvania joins a growing list of states that have passed, or are considering, legislation that would regulate the use of state-issued EBT cards. The Middle Class Tax Relief and Job Creation Act of 2012, passed by Congress on February 17, requires states to prevent the use of TANF funds in liquor stores, casinos and adult entertainment businesses. The bill provides regulatory authority for DPW to determine what types of purchases are acceptable with cash assistance, and to make sure such purchases are consistent with the program's "mission of encouraging self-sufficiency," says the bill's sponsor. Pennsylvania distributes approximately $200 million in cash assistance each month. The Committee on Health in the California Senate will hold a hearing April 11 on a bill that would require California to adopt electronic benefits transfer for its WIC program. Although all states are required by the federal Healthy Kids Act of 2010 to adopt WIC EBT by 2020, the California bill would require adoption of EBT by January 1, 2015. The bill, sponsored by Sen. Lori Hancock, would extend to July 1, 2013 the deadline for the state to complete its feasibility study on WIC EBT. It would also require the Department of Public Health to report back to the legislature at that time on what electronic card technology option it has chosen for EBT. The implementation date of January 1, 2015 is contingent on funding, according to the bill.